Trick Pony 2016 CMA Fest Fan Club Party! 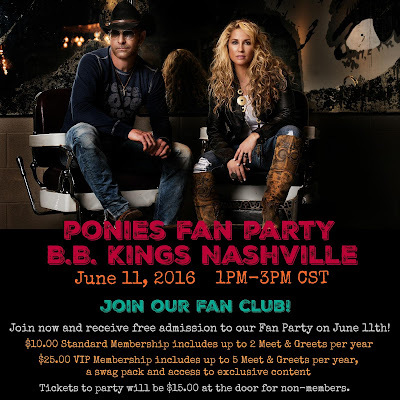 Trick Pony will be holding a fan club party at B.B. King's during the 2016 CMA Music Festival. The party will take place at 1 pm on Saturday, June 11th. If you join their fan club you will receive free admission to the party! Tickets will also be available at the door for $15. Join the Trick Pony Fan Club here for just $10!